Microsoft has revealed that its Project Scorpio console will support all Xbox One games as well as a select number of Xbox 360 titles when it launches in 2017. The news has come from engineering lead Mike Ybarra who stated on Twitter that “of course” backwards compatibility would be supported on the upcoming console. This isn’t an entirely surprising move from Microsoft, given that Xbox 360 game support came to the Xbox One in November 2015. It proved to be a popular move with Xbox users, and since that launch more than 250 Xbox 360 games have been made playable on Xbox One. As for which Xbox 360 titles will be getting backwards compatibility with the Scorpio - if it's any different from those set for Xbox One support too - we've reached out to Microsoft for clarification. 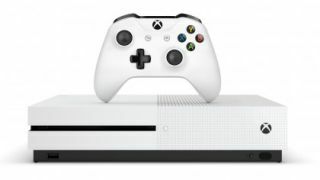 By offering Xbox fans backwards compatibility, Microsoft significantly reduces the disruption caused by the introduction of new and more powerful consoles to the market. Even more importantly, it’s a feature Microsoft is offering but Sony is not. The standard PlayStation 4 console doesn’t allow users to play any of their PlayStation 3 games (PlayStation Now streaming or full-priced re-releases are your only options) and this will extend to the upcoming PlayStation 4 Pro console. Though the Pro console will play all past and future PlayStation 4 titles, it still won’t bridge the console generation gap in the way the Xbox One and Project Scorpio are promising. This isn’t the only feature being offered by Microsoft that makes its Scorpio console a more attractive mid-generation console option than the PS4 Pro. The Scorpio might not be launching for another year but considering we now now it'll offer backwards compatibility, a UHD 4K Blu-ray player and, according to Microsoft, much higher specs, it could be worth waiting for. It doesn’t, however, have an official price point yet, which could make all the difference for many. It does depend on what players are looking to get out of their console and how long they’re willing to wait for native 4K support, but this is news that leaves PlayStation at a slight disadvantage with the Pro console launching this month.